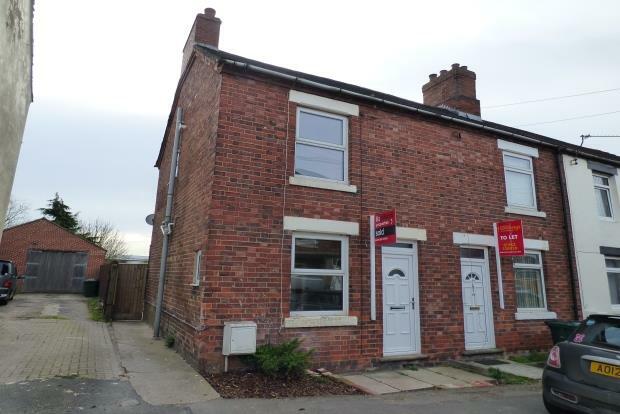 2 Bedroom House To Rent in Swadlincote for £575 per Calendar Month. We are pleased to offer to let this immaculately presented two bedroomed end of terrace in the popular location of Woodville close to local amenities. The property comprises of a good size living room leading to the kitchen diner with a range of grey wall and base units along with an electric oven, hob and extractor with space for fridge freezer and washing machine. To the first floor are two bedrooms and a family bathroom with shower over the bath. Externally to the front there is on road parking and rear a generous garden with patio area, lawn and cabin for storage etc. Call today to arrange a viewing and secure this gem!